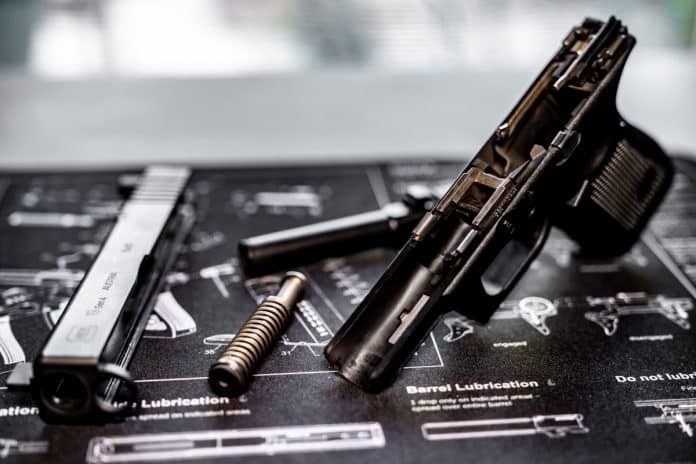 Well-established firearm platforms offer the ability to procure replacement parts and aftermarket accessories that newer or less popular guns simply do not provide. The ability to fix or replace any part of a gun that wears out or breaks is worth consideration. I have a standard that I require from my primary defensive weapons. If I can’t fix it on my own, then I don’t use it. I use a variety of guns for hunting and recreational purposes. But I utilize only platforms that I can entirely support on my own for my defensive weaponry. I hate having to send a gun to the manufacturer to have something fixed. Granted, there are times when you may buy a new gun of any brand, and it will need a trip to the factory to get fixed, it happens. However, in terms of the ability to replace parts that break over time, or the ability to find aftermarket parts, I am a firm believer in using guns that I can work on and fix on my own. I will explain further. There is a wide variety of great guns on the market today. And most models being produced by well-known manufacturers are quality firearms. Any manufacturer can produce a dud, at least on occasion. And sending a new gun back to the factory for a fix is not that unusual. Most gun manufacturers have good warranties on their products. They will fix or replace any firearm that does not work correctly. If utilizing a new platform, it will be inevitable that the gun will need to go back to the factory for any fix due to the lack of aftermarket parts and support for any new-to-market firearm. This leads me to embrace the tried-and-true firearms for my defensive guns. I am a believer in not only having several of the same weapons but also in having every single spare part for the weapon on hand. New to defensive firearms? I would suggest factoring in aftermarket support as one of your deciding factors when selecting a primary defensive handgun platform. Obviously, the guns that have been around for longer periods of time usually have the advantage here. But another predictor of this is how wide-spread and popular the gun is. The availability of parts and other support products can also be based on the manufacturer. As some weapons that are produced in other countries may be quite widely circulated, but there is not a large aftermarket market for it in the United States. Finally, certain manufacturers have simply been better about making parts available than others. A quick internet search for replacement parts and accessories for the gun you are interested in is a good idea to judge what is available. I tend not to be too forward when it comes to suggesting the “best” handgun to the individual as handguns are quite specific things. One size does not fit all. Nor does one design fit all. I can say that the guns that I do typically suggest are well-established platforms. And one of the factors that go into my suggestion is parts and accessory support. When it comes to this consideration, the top candidates are the Glock, the Smith and Wesson M&P, and several models produced by Sig Sauer. These are, of course, well-established manufacturers, but they also tend to offer broader support concerning parts availability, and since they are such popular platforms most accessory manufacturers produce their products for these models. The other platform that has an incredible amount of support is, of course, the 1911, though this is a gun that is good for the specific enthusiast who wants to use it rather than the average person who is not a shooting enthusiast, but only interested in a handgun for self-defense. A well-produced handgun can usually be counted on to go tens of thousands of rounds without issue, but if you shoot a lot eventually, internal parts will break. A little research on any given handgun type that is widely used by high-volume shooters will tell you what is most likely to break. Having these components on hand means that if your weapon goes down, the fix should take only several minutes and you will have the gun back up and running. This is generally of limited concern for the average gun owner who keeps a firearm for self-defense but rarely shoots. However, for those who do a significant amount of training, the inevitability of parts within the gun breaking or wearing out is there. A gun that has no available spare parts will need to spend several weeks going back to the factory for maintenance. I use a variety of firearms for hunting purposes and the ability to fix them myself is of limited concern. However, for my defensive long gun platform, it is of paramount concern. I like the AR15 platform as my go-to defensive long gun. And one of the many benefits to this ubiquitous system is the availability of parts and aftermarket support. In fact, no other gun comes close in terms of what can be bought. Literally, every single component of the AR15 is available so that anything that does need to be replaced can be. Of course, most of the AR15 components on the market cater to those who extensively customize their rifles rather than just replace broken parts. I have abandoned certain firearms in the past that I considered my go-to defensive long guns. Why? Specifically due to the absence of after-market support and parts support. The AR15 is the most popular gun in the United States for a good reason. And the ability to replace any part comes along with that popularity. Some other long gun platforms are also prevalent and widely supported. The ubiquitous Remington 870 shotgun comes to mind, as well as the Mossberg 500 and 590 series. The Remington 700 bolt action rifle, and even the popular lever-action Marlin 336 rifle, are other examples. By using such widely supported guns, you ensure that you can keep replacement parts on hand. And you will also be able to find accessories more easily. Parts availability and aftermarket support may not be a pressing concern for the casual gun owner. But it should be a primary consideration for a serious shooter. If you are investing in a handgun or long gun platform as your primary defensive firearm, give it some thought.